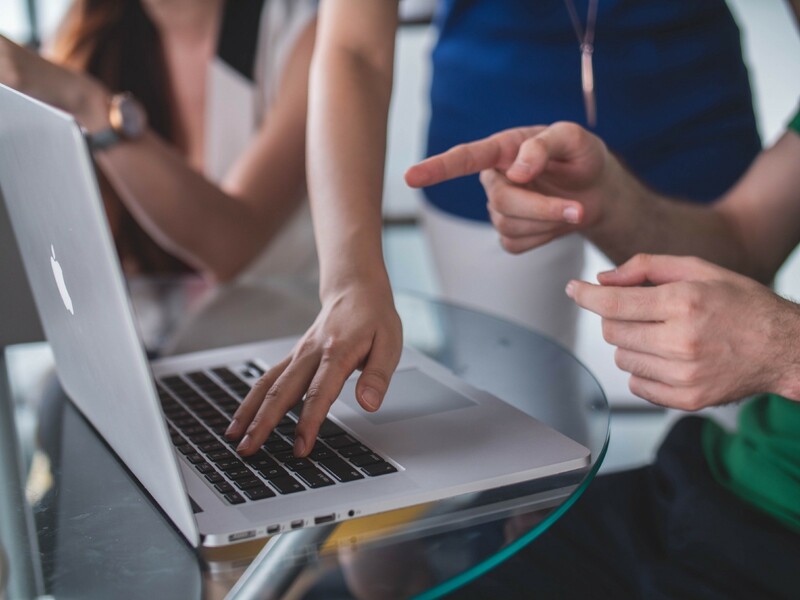 Coding is complicated — there are loads of best practices to remember, guidelines to follow and ‘known issues’ to avoid — so it helps to have a ‘helping hand’ while you work. 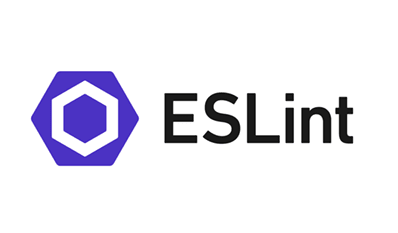 ESLint is an extendible linter — or code checking tool — that can be set up as a standalone tool or integrated into the Visual Studio Code editor. 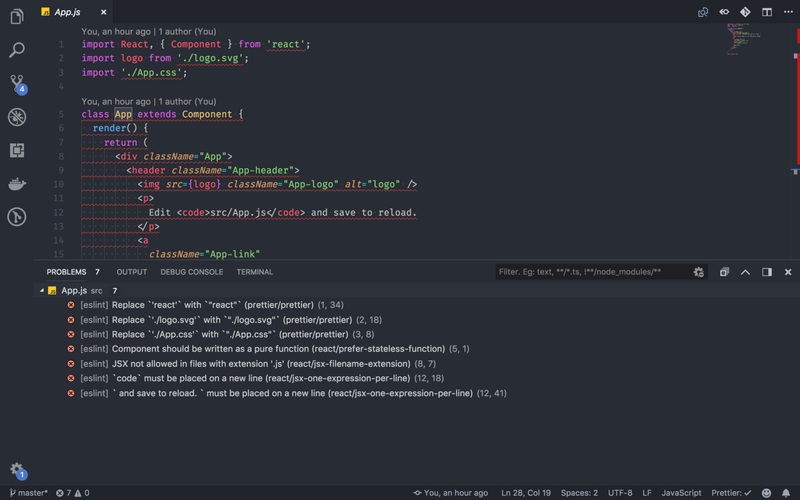 With ESLint properly configured in your editor, your development experience can be almost as-if you’re continually pair-programming with (an insufferably polite and knowledgeable) know-it-all. And as daunting as that might be, it’ll help you produce better quality code and teach you as you work. 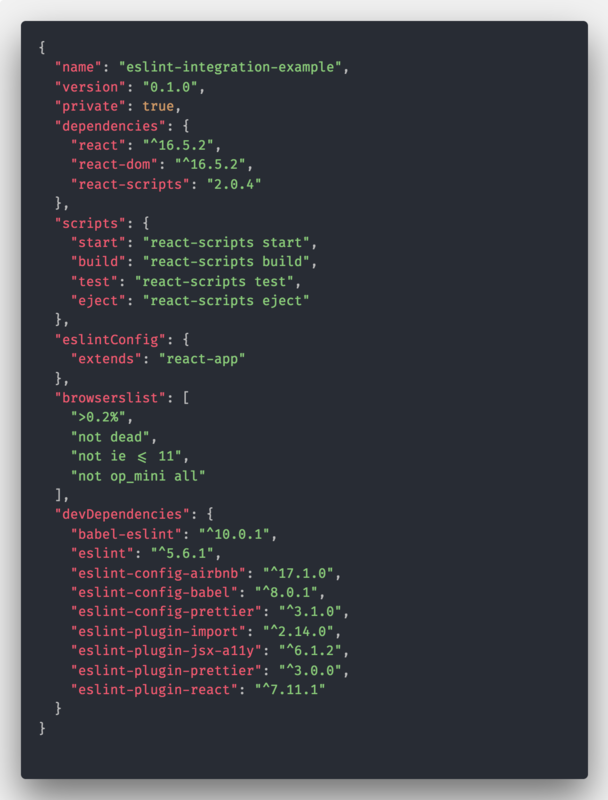 First, a preamble: I’m going to start by setting up a React project using create-react-app, which gives me a package.json at the root of the project and manages dependencies through NPM. Strictly speaking, the necessary plugins for adding ESLint is only actually eslint, but I’ve added the other plugins in this example because they’re the ones I’m currently using in my active projects. 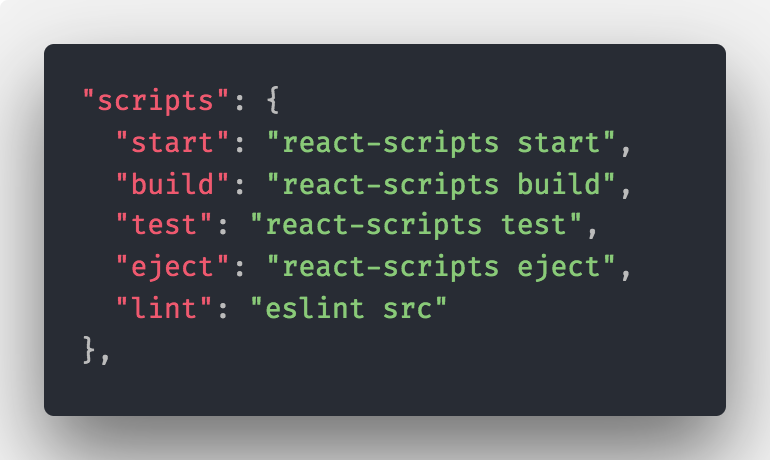 This tells ESLint to import the airbnb, prettier and jsx-a11y configurations (that we installed in the previous command) as a starting point, and gives us a springboard from which to extend the configuration in the future. 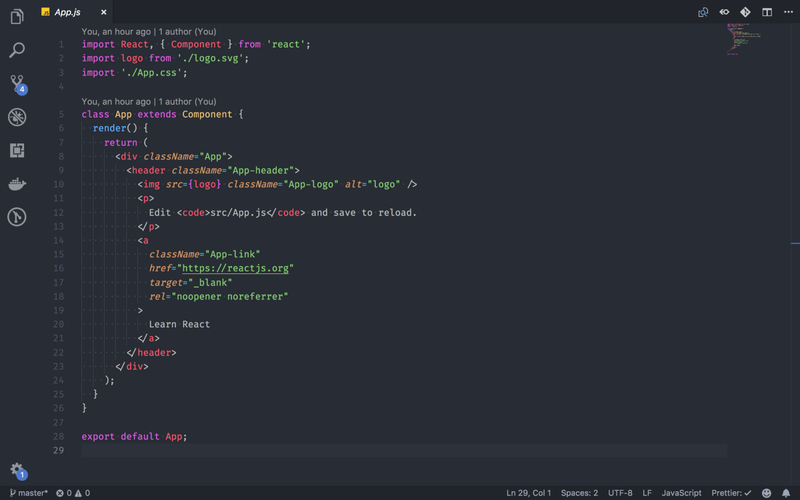 It’s already pretty neat to be able to run ESLint and highlight issues with our code like this, but what really takes it to the next level is editor integration. The ESLint plugin can be installed from the Visual Studio Marketplace, and gives easy integration with Visual Studio Code. 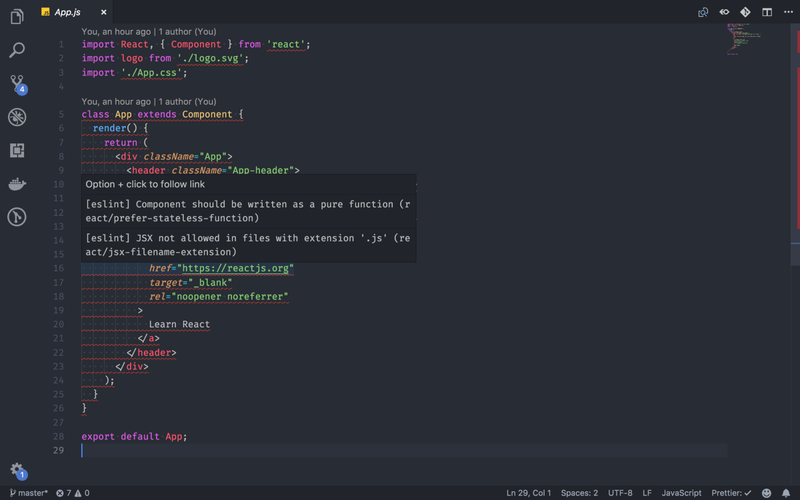 With the plugin set up, rather than having the ESLint as a task that needs to be invoked manually, it runs automatically, displays the results inline with your code, and updates as you type so you get the kind of user experience you’d expect from a spell-checker but with the complexity of your ESLint rules. Seeing this editor integration does rely on having the correct plugin installed though, which can be a bit of a tedious task to maintain if you’re on a development team. To assist with this, we can add a VSCode extensions configuration file, which will prompt Visual Studio Code to suggest the installation of extensions when appropriate. 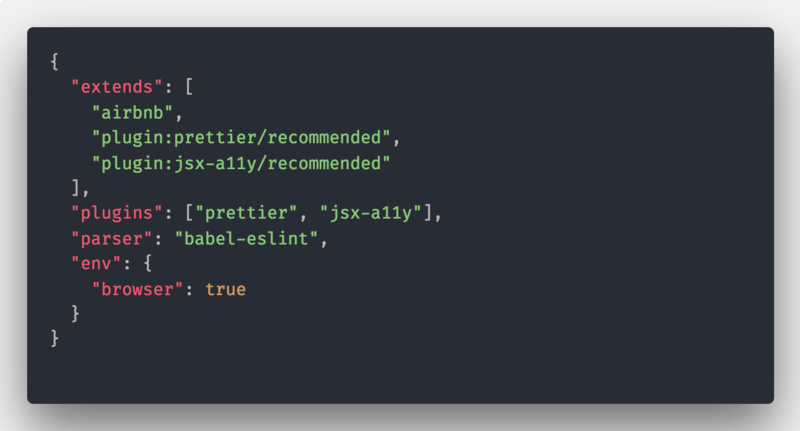 What makes ESLint cool is that it’s something that can be extended to check for more than just logical code errors, it can check for things like accessibility issues or inconsistent code formatting, which is why I’ve added react-jsx-a11y and the prettier plugins to plugins list. And with all of that setup, you can experience what it’s like to Pair Program with a stickler for consistency and best practices, without actually having to be pairing.